There’s nothing quite like southern hospitality. The lovely towns that line the south can be exceptionally charming, but it’s the people that make them even better. 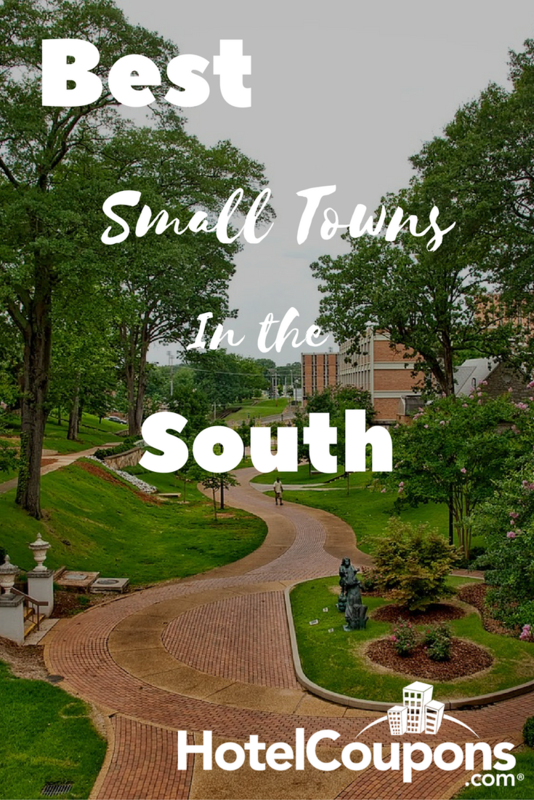 Of course, cities like Nashville and Charleston have already made an impressive name for themselves, but what about the smaller towns that shine just as bright? For your next adventure, we invite you to explore our favorite small towns in the south. Nestled in the foothills of the Blue Ridge Mountains, Dahlonega offers expansive mountain vistas, roaring waterfalls and bubbling streams, and postcard-worthy wineries. With unmatched arts, shopping, lodging, dining, and outdoor entertainment, Dahlonega is a jewel like no other in North Georgia. Located just an hour north of Atlanta, the mountain getaway of Dahlonega is also the site of the first major U.S. Gold Rush. Your friends will be thrilled for you when they find out you’re planning a trip to Florence, but will be equally intrigued to learn you won’t be traveling overseas for your visit. 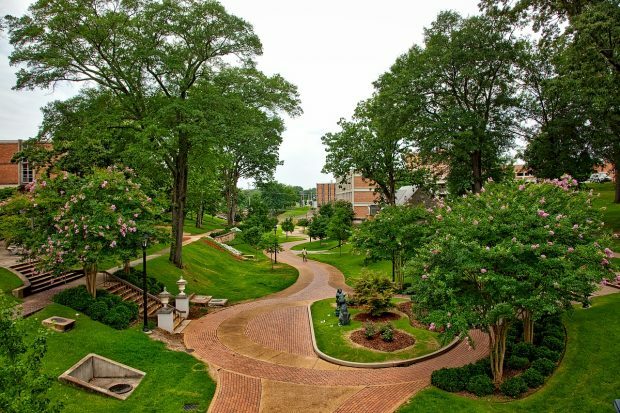 Florence, Alabama, has been described as “southern living at its best” and “how life is supposed to be.” From the houses on the bluffs overlooking the Tennessee River to the beautiful and historic homes in the city’s downtown area, Florence is a small town full of beauty. With a population just under 1,000 (2010 census), Ooltewah is an enclave in the city of Collegedale. The colorfully named Ooltewah is a beautiful and historic gateway to the Deep South. Located just outside of Chattanooga, the family-oriented community boasts a number of restaurants, hotels and museums. Craving a bite to eat? Try Couch’s Barbecue for a scrumptious southern meal that won’t break your budget. Just minutes from Hilton Head Island, the quaint town of Bluffton, South Carolina, sits right on the banks of the May River. Filled with gorgeous antebellum homes, historic churches and all kinds of artisan shops and wonderful restaurants, Bluffton boasts some the sweetest Southern charm in all of the Lowcountry. Whether you’re looking for a great place to fish or explore by foot, Bluffton is bound to have the perfect adventure for you. Secluded and peaceful with winding mountainside streets; Eureka Springs has a flair of its own. The signature destination in the Northwest Arkansas Tourism region, Eureka enjoys four gentle and distinct seasons as well as year-round entertainment and fun. Beginning November 25 and running through the New Years Celebration, Eureka Springs celebrates the Holiday Season in style! From its vantage point on the highest bluff of the Mississippi River, Natchez beckons to travelers in search of a truly distinctive Southern story. The graceful city celebrates its 300th anniversary this year! The the oldest settlement on the Mississippi River, Natchez has more antebellum houses than any other place in the United States. Many of these historic homes are open for tours. The friendly local people welcome visitors to their historic city with warm Southern charm. Oozing with hospitality and charm, the quaint small towns below the the Mason-Dixon line offer visitors a wealth of history, food and entertainment. What’s your favorite town in the south? Kimberly is a writer, brand manager and University of Florida graduate student who considers travel the best medicine for the soul. A passionate millennial who believes in a “work hard, play hard” lifestyle, Kimberly's articles feature budget-conscious travel tips for adventure seekers of all ages.